I'm so pumped that my new blog design is finally live! If you read the old blog in your email, be sure to click and check it out. I was an easy process. 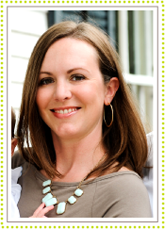 My blog designer is Carolyn V, and you can find out more about her here. You know I had to keep my signature colors, green and gray. And, we went with the diagonal gray stripes in the background to match my chestnut lane cards. 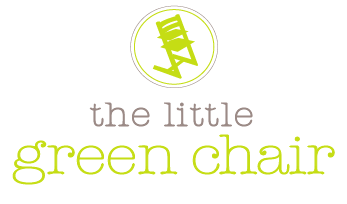 The little green chair pic turned out just the way I envisioned it. Some other changes include my bio pic. I cropped baby C and Charles out, cause you know I can't have the babe on the interwebs! The pic was taken by Cindy at Stansberry Photography. Another change/addition is a preview to my instagram pictures. I love instagram, and have actually been posting pictures of Charlotte there, BUT you can not identify her. Only shots from the side or behind. Kind of reminds me of the neighbor, Wilson, from the show Tool Time. Who's with me on that ??? Anyway, you get to see some of her, that's all I can do. And last, you will notice the button on the sidebar, "Visit the Shop." That will take you to my inventory page of what's currently for sale at my booths. I am trying my best to keep updated, and although it's a lot of my stuff, it's not all so be sure to check them out. I hope you like the new blog look. Stay tuned folks.